If you are working your way through The Simple Collection your head, neck, and maybe even your lap are swathed in knitted snuggliness! 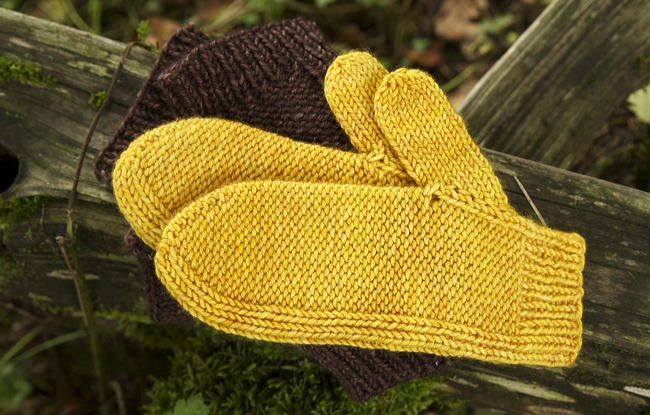 After some practice, you are knitting and purling with confidence and ready for an intermediate project to warm up your hands! 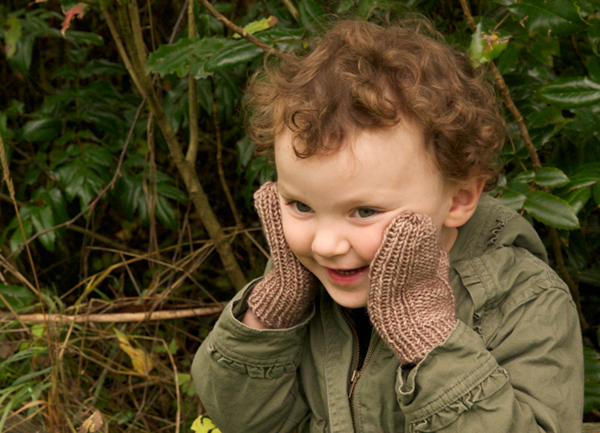 Maize are simple textured mittens, and (as always) we have designed something for everyone, including a full range of sizes and options for both fingerless and full mittens. 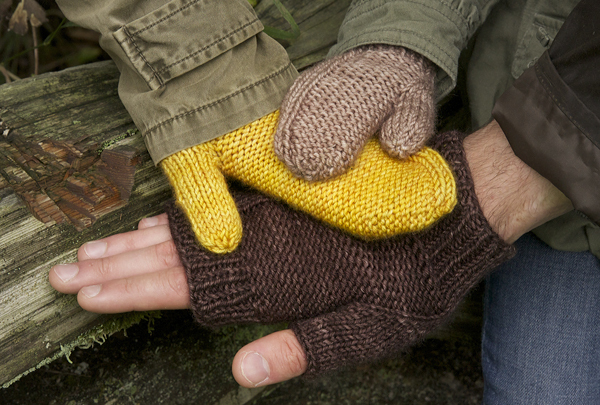 Maize are simple mittens with a combination of ribbing, reverse stockinette, and a little bit of stockinette. You can hone your double pointed needle skills or knit these on long circular needles using the magic loop method. 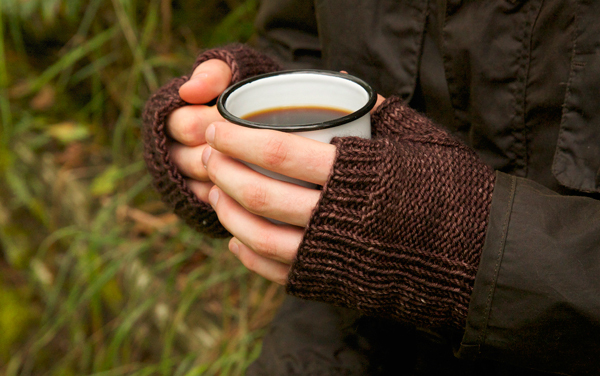 You will learn to do increases and work ‘in pattern’ for these mittens. If you are new to knitting entirely, used to knit but have forgotten how, or are looking to move past the basics, we have step-by-step tutorials on each of the techniques you will need as you learn to knit . 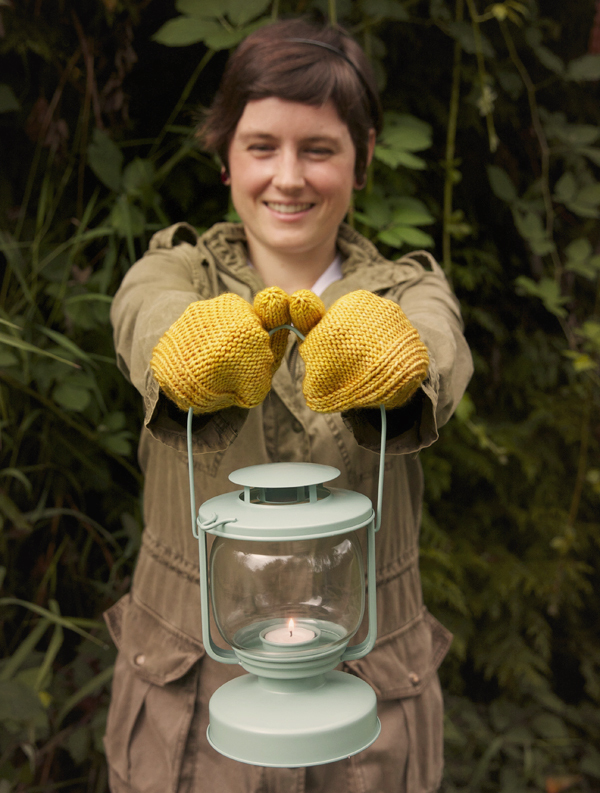 ‘Lets Knit Mittens’ covers casting onto double points, knitting in the round using magic loop, increases, decreases, and picking up stitches. 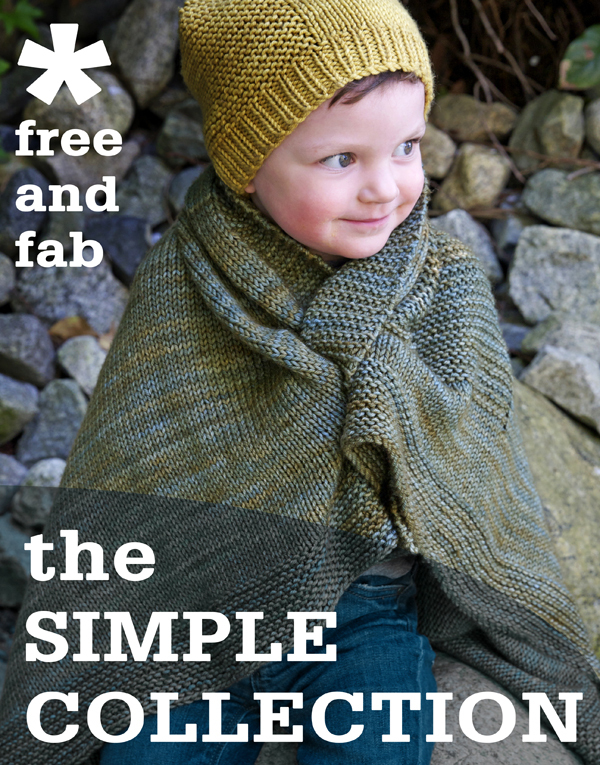 For more fabulous free patterns, how-to-knit videos and more, check out the full collection here. 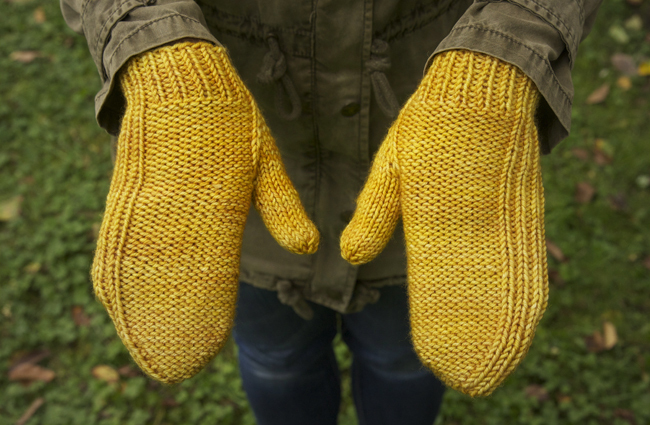 The Maize mittens were knit using one of our longtime favorite yarns: SweetGeorgia Superwash Worsted. It combines soft merino with the practicality of a washable wool and the stunning deep colours that dyer Felicia Lo is famous for. We have used this yarn in the past (for Campfire) and are using it again for the upcoming Flax sweater in the Simple Collection. SweetGeorgia also creates a very similar yarn in DK weight for lighter projects. We LOVE SweetGeorgia’s yellow, ‘goldmine’ and her deep rich browns too! Like the new Simple Collection? To hear about our new designs and in-depth tutorials as they are released, get our email updates! Please help us to spread the word about these new designs by clicking the links below to share on facebook, twitter, or email to a friend. Do you teach knitting? To make your life easier, we have created downloadable PDF handouts that you can use (along with these free patterns) in your knitting classes – download them here.